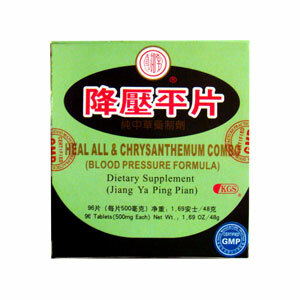 Maintain healthy blood pressure and circulatory system. The basic concept of oriental herbal therapy is that most health problems are self-inflicted and that the cause of discomfort is the failure to take appropriate preventative steps. The fundamental approach in herbal therapy is to determine and treat an imbalance or deficiency in an internal energy. Following this belief, herbalists developed Blood Pressure Formula. It helps maintain vascular system, circulatory function and healthy blood pressure. For best results, this supplement should be taken with proper diet, suitable exercise and a healthy lifestyle.